Fathers' rights protesters staged a demo outside a Torquay courthouse yesterday. 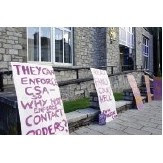 Placards were placed outside the court supporting the Fathers-4-Justice campaign for equal rights for both parents in custody cases, and calling for scrapping of the Child Support Agency. They were at Torbay Magistrates Court for the hearing of a case of a member, Jolly Stanesby who had his driving licence suspended by magistrates yesterday for refusing to pay child maintenance. 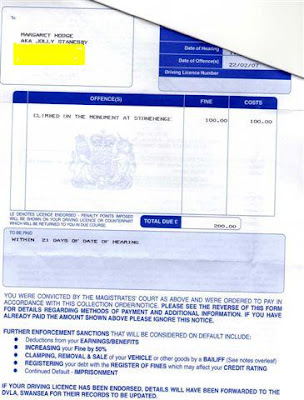 The defendant appeared for non-payment of three liability orders totalling £522.82 dating back to 2003. Magistrates yesterday met the Flintstones when a pair of look-a-like Freds sat in a courtroom dock decked in trademark orange and black spotted sabre-toothed tiger garb. The Two Freds - one of whom was allowed to carry his club - were the first people in the country to be tried for scaling Britain's favourite piece of rock, Stonehenge. Salisbury Magistrates' Court doubled as Bedrock as the duo, both members of the Fathers4Justice pressure group, defended their stunt at the 4,500-year-old stone circle earlier this year.They were accused of unlawfully climbing a national monument contrary to the Stonehenge Regulations Act of 1997 and the Ancient Monuments Act of 1979. Father-of-one Jonathan 'Jolly' Stanesby, 42, of Ivybridge, Devon and dad-of-two Richard West, 40, of Ottery St Mary, Devon, both pleaded not guilty. The F4J activists, campaigning for changes in the law to give fathers from split relationships better access to their children, claimed they were innocent because they did not know it was illegal to climb Stonehenge. In a bizarre twist, Stanesby insisted on being addressed throughout the proceedings as "Mrs Hodge" having changed his name by deed-poll to Margaret Hodge, the former Children's MinisterLast week he was cleared of false imprisonment after handcuffing himself to Mrs Hodge for 20 minutes in 2004. Ironically, Mrs Hodge is now Culture Minister whose remit includes Stonehenge. The two defendants and another F4J activist David White had a yabba-dabba-doo time when they spent more than seven hours on top of Stonehenge on February 22.The court heard that just after 9am the trio, armed with a ladder, negotiated a perimeter fence before dashing to the monument and scampering up the stones.Security guard Christopher Gibbs said he gave chase. "I got to the stones as the last one was climbing up. 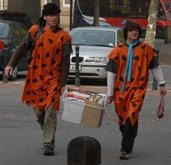 "As security guards gathered in frustration below, the men revealed their Fred Flintstone costumes and unfurled a 30ft banner bearing the slogan 'Drag family law out of the Stone Age'. Prosecutor Philomena Creffield said: "This is a monument of world renown which is protected against people climbing on it to ensure that it is not damaged and is preserved for future generations." Referred to in court as Fred One, Stanesby, a child carer, told the bench: "Stonehenge has been climbed on for hundreds and thousands of years." A veteran of many F4J stunts involving the Tamar Bridge, York Minster, Severn Bridge, Blackwall Tunnel, the High Courts, Trooping the Colour and the National Lottery, he added: "I was not aware of signs there saying we weren't allowed to climb it." Fred Two, Richard West, said he had seen numerous photos of people standing on top of Stonehenge, and was unaware climbing it was illegal.He said the pair had gone to great lengths to ensure the monument was not damaged, including wearing soft shoes and greasing the ladder. They were each fined £100 and ordered to pay £100 costs while West was told by chairman of the bench, Richard Arundell, that he could reclaim the banner confiscated by police.The sentencing is unlikely to enamour F4J with members of the pagan community. Tensions between pagans and leaders of F4J have sparked an angry row over the desecration of two iconic monuments.The radical campaign group says it has received death threats from people claiming to be pagan after slogans supporting its cause were daubed on Glastonbury Tor and parts of the Cerne Abbas giant painted purple earlier in the summer. Yesterday, Fathers4Justice said it had carried out a full investigation into the incidents, revealing it believed someone had committed the acts with an ulterior motive, as part of a smear campaign aimed at tarnishing its reputation. Morgan Rhys-Adams, Pagan Federation member and Glastonbury resident, said: "We cannot condone violence in any way and the Pagan Federation would want to completely disassociate itself with any kind of death threats. It is not our way." 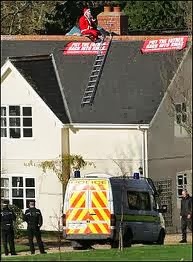 At a previous hearing the Third Fred, David White, 29, of Southampton, was told to pay £320 after admitting the offence. A fathers' rights campaigner who handcuffed himself to former children's minister Margaret Hodge has been cleared of false imprisonment. 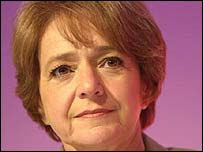 Mrs Hodge was ambushed at a Law Society conference at the Lowry Hotel in Salford, Greater Manchester, in 2004. The MP was handcuffed for 20 minutes Manchester Crown Court heard. Jonathan Stanesby, 41, from Ivybridge, Devon, was cleared along with Jason Hatch, 35, from Cheltenham, who tried but failed to reach the MP. Mrs Hodge, who is now culture minister, had to be freed with bolt cutters. The minister was at the Lowry Hotel on 19 November for a conference called "Battle of the Sexes". She was handcuffed by Mr Stanesby as she took part in a question-and-answer session afterwards. He cuffed her wrist to his, saying: "Margaret Hodge, I'm arresting you for covering up child abuse." This was a reference to Mrs Hodge's time as a councillor in Islington, north London. Mr Hatch also attempted to handcuff the Cabinet minister and MP for Barking but was blocked from reaching her by Mrs Hodge's assistant private secretary. At the trial Mrs Hodge described how she was "distressed" by the activists' actions. "I did have a pain on my wrist for about six months afterwards," she said. "I was upset and I was very disturbed by that incident." 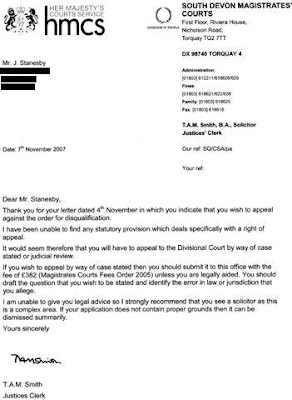 But Kyri Argyropoulos, for Mr Stanesby, suggested that the minister was not prepared to meet members of Fathers 4 Justice because of their past behaviour. He suggested she was "far from accessible" - a charge Mrs Hodge denied. Alan Wolstenholme, prosecuting, said the men "went much further than they were entitled to do". The verdicts were met with cheers and applause from Fathers 4 Justice supporters in the public gallery. The court heard how both men had previously been involved in high-profile protests for the group. 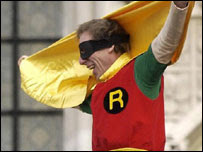 Mr Hatch, who gained notoriety after scaling the walls of Buckingham Palace dressed as Batman, thanked the jury after the not guilty verdict was read out. He said he was "ecstatic" at the verdict. "The jury are sending a clear message that the family law courts must be overhauled immediately. "The breakdown in our society can quite clearly be traced to the breakdown of families. The only way this can be rectified is by stopping the secrecy of family courts. "I carried out a citizen's arrest on Margaret Hodge and it looks like the jury thought I was justified to do so."